Coming on October 28th a new Affetto Records release. The Thirteen is an all-star professional choir best described by National Public Radio commentator M.D. Ridge: “to talk about the remarkable abilities and sound of the individual singers would… be like trying to say which whitecaps on the ocean reflect the sun most beautifully, or which leaves on a tree dance most gracefully with the wind… I stand in awe.” Described as having “a tight and attractive vocal blend and excellent choral discipline” (American Record Guide), The Thirteen draws its artists from among the finest ensembles in the world, including Chanticleer, Seraphic Fire, Apollo’s Fire, Conspirare, I Fagiolini, Opera Philadelphia, Boston Early Music Festival and Trinity Wall Street. “Voice Eternal” presents a virtuosic program of music by Tudor-era composers that explores musical upheaval during the English Reformation through music that is at times epic, intimate, majestic and joyful. 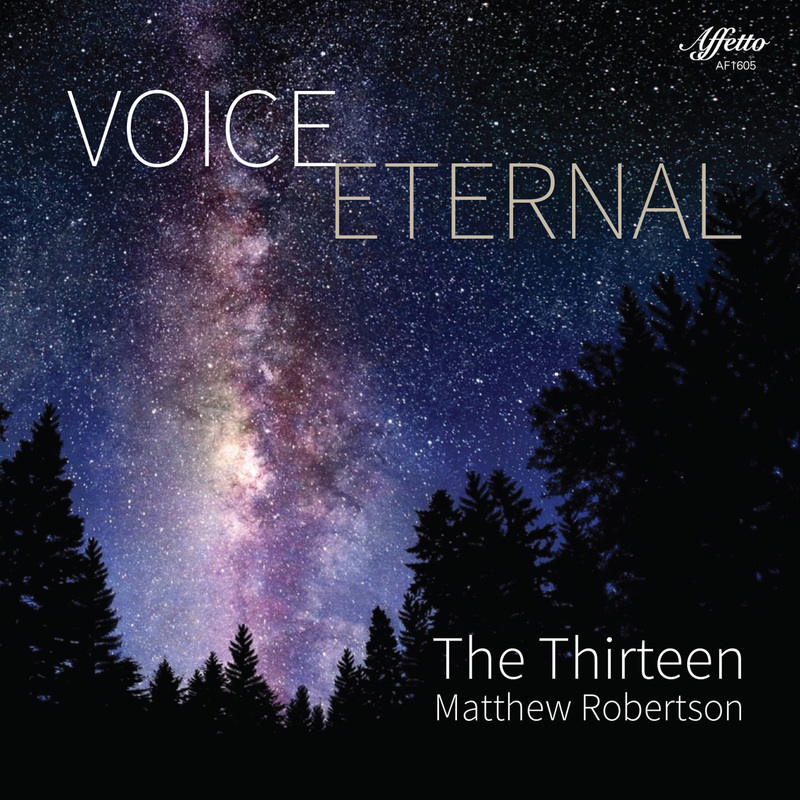 With works by Thomas Tallis, King Henry VIII, John Farmer, Thomas Weelkes, Robert Fayrfax, Walter Lambe, and William Cornysh Jr., this album by The Thirteen makes this powerful music come alive for 21st century audiences. Affetto Records introduces an album which presents surprising contrasts and spell-binding harmonies by one of the nation’s most-compelling up and coming ensembles, The Thirteen. Listen to “Helas Madame – King Henry VIII (1491-1547)” on Soundcloud (as well as seven other tracks from our releases on our page there).